Corporate paintballing days are perfect for team building and training purposes. 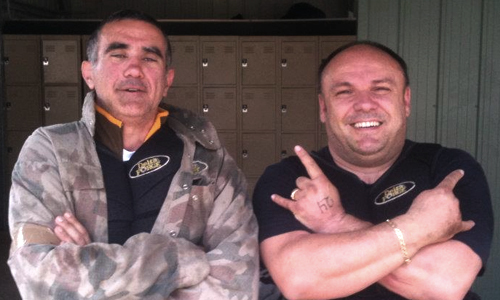 They are even more effective when held at Delta Force Paintball, the world’s largest operator of paintball games. With centres situated in Sydney, Melbourne and Perth, round up your colleagues and get ready for what will be the most effective day of the year for your business. Picture yourself strategically positioned behind the military convoy vehicle. Your comrades (previously recognised as co-workers) crouch behind the nearby communications base and await your orders. You have a clear view of the enemy, but do you expose your position and risk heavy fire or continue forward to a safer point of attack? The decision is yours – the fate of the unit rests on your shoulders! What better way to encourage leadership, nurture teamwork and establish a healthy and happy business environment than a corporate day out! 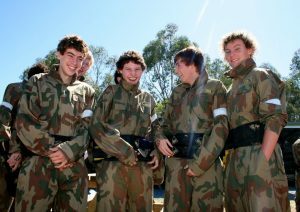 Delta Force is renowned for organising convenient and adventurous corporate days of paintball action – all at the lowest prices in Australia. Having fun together is incredibly important for staff morale, retention and productivity. Yet it’s often difficult to find something that all members of the team can enjoy; for example some people may be able to play golf (and hence enjoy a corporate golf-day), whilst others will not. 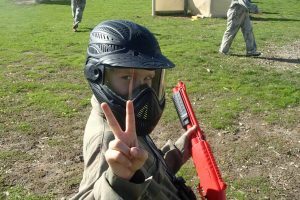 The great thing about paintballing is that it’s a wonderful leveller – you don’t need any particular sporting ability, and it’s possible for men and women, as well as people of all ages and all levels of fitness to participate on an equal footing. Delta Force frequently organises corporate days out, which can be tailored to meet your company’s goals and objectives. It is also a perfect way to reward your valued clients, which is why so many organisations are now taking to the paintball field for a fun day of paintball. Delta Force has an impeccable safety record and quality game zones to match, ensuring your staff and clients are in safe hands. To find out more information about Delta Force, click here to visit their website.